Jaci's musical talents go well beyond her 18 years. 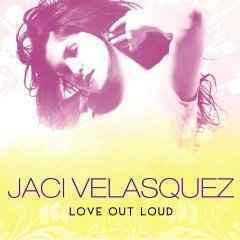 Her vocals have long exceeded anyone's expectations of a teenager's range, emotion, and depth, and on her latest release, simply titled Jaci Velasquez, an even more polished and sophisticated artist has emerged. The little girl with the big dream is no longer dreaming. 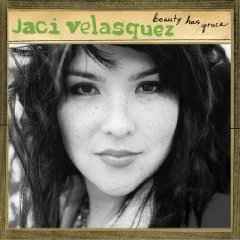 Call it one of the hazards of life as a Christian musician, but Jaci Velasquez also seems as ready as ever to tackle the expectation of artistry as ministry and the confines of a somewhat scrutinized personal life which seems to come with the territory. Velasquez recalls her stints on stage with her father and his travelling ministry and remembers with a hint of laughter that she actually was called on to preach to the audience as often as she was called to sing. That experience, however, prepared her for what to come. 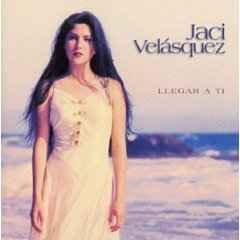 Today Jaci Velasquez receives thousands of letters from young fans and their parents and shoulders well the burden of role model. To her peers, Jaci is much more than an entertainer.Espousing a commitment to abstinence, Jaci has been a spokesperson for the popularnational campaign True Love Waits, and proudly shows her "promise ring" to emphasize the passion of her decision. A new book written by Jaci throughout the whirlwind of her lack year releases in May. The book, entitled Heavenly Place, was yet another chance for Velasquez to share more than just music with her fans. 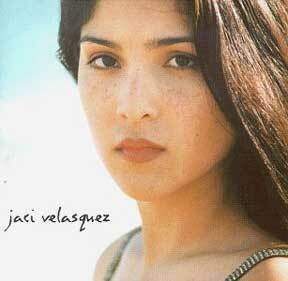 Long after her days as a teen-wonder have ended, Jaci Velasquez will still likely be a dominant figure in the musical world. The novelty of her youth which naturally passes with age, is already growing into an enthusiastic respect of a powerhouse talent. And if natural talent, healthy ambition, and a heart for "changing the world" is truly what it takes to make it, Jaci is well on her way.